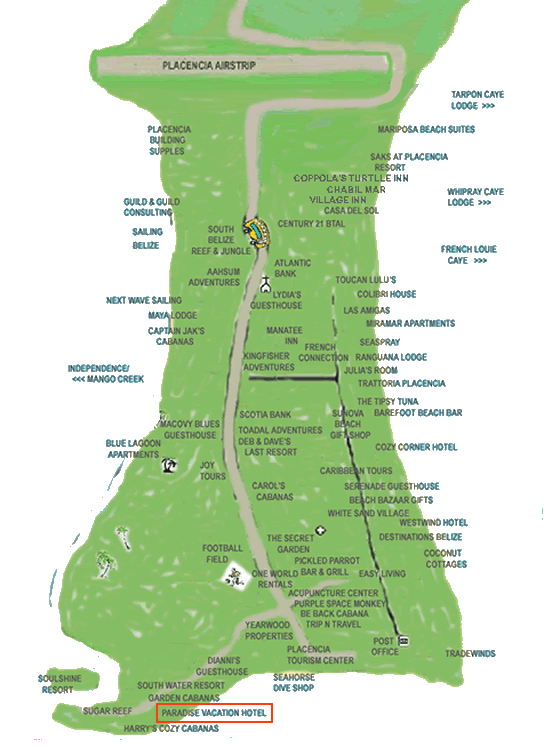 The Placencia Tourism Center says it best when they describe Placencia as: "Sixteen miles of natural sandy beach, a virgin mangrove-fringed lagoon, a wonderland of coral-studded cayes, nearby jungle rivers and pristine rainforest, Garifuna, Creole and Mayan cultures and ancient Mayan ruins make Placencia the ideal location for the adventure traveler!" 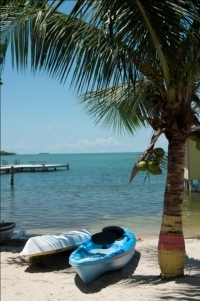 Belize Online has this to say about Placencia: "The Placencia Peninsula - an 11 mile strip of land sandwiched between the Caribbean Sea and the Placencia Lagoon, has beautiful white sandy beaches and - because of its distance from the reef - it also has "real' (though not very high) surf. The water is clean and clear; the trade winds gentle and cooling. There are few sights more calming to the spirit than a Belizean sunset on a deserted Placencia Peninsula beach.". Please visit their site for more information. Belize is one of the few remaining gems of the Caribbean Sea where life has kept its unrushed pace. Check out the dive information at Greatest Dive Sites web site.